FK809: VARIABLE REGULATOR 0-30V. 3A. Note: In Stock both as a kit and assembled units!!! • This regulator circuit is high efficiency because of IC regulator UA 723. 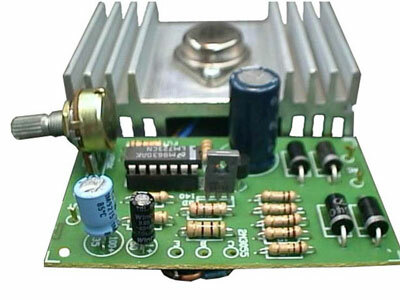 • Power Input : 12-30 Volts AC or DC. If you are uncomfortable with soldering a kit together, we offer a Factory assembled & Tested FA809 as an option!